“When a big tree falls, the earth shakes,” said Rajiv Gandhi in one of his speech during the brutal massacre of Sikhs in 1984. Thirty years, almost three decades have passed. But it seems earth is still shaking and it will continue to shake, but how far and how long? Trilokpuri was one of the worst affected areas in Delhi. 36 blocks were set on fire. 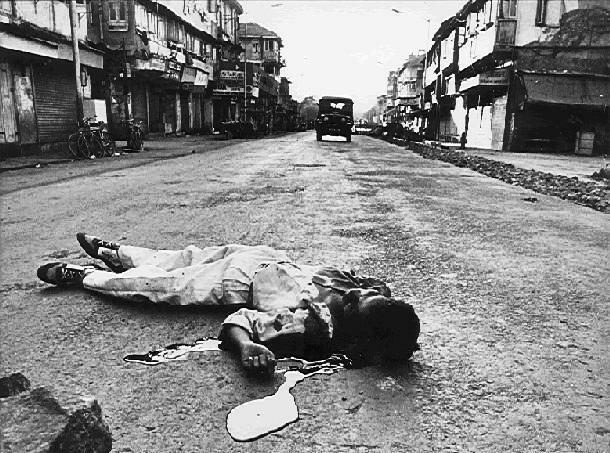 Sewage turned red and roads were blocked with dead bodies, long hairs and turbans. Mass killings and brutal rapes continued for three days. “Where were the corps and government? Was it so difficult to stop or it was planned strategically?,” asked Amrita Kaur, a 60 year old lady who lost her husband and 13 year old son in the anti- Sikhs riot of 1984. It’s not just the story of Amrita Kaur. There are several such nightmares alive in their heart. Compensations and rehabilitations are not just enough for those who have lost their loved ones. Politicians don’t miss a chance to use it as a trum card to win elections. Although rehabilitation has taken place, but still there are people wandering for help, seeking justice. Retired military driver Santosh Singh was brutally killed in front of his family members. “For three days his body was lying near a lamppost accompanied by a dog’s dead body,” said Nazir Singh. Nazir Singh, son of Santosh Singh is a 45 year old man living with his two sons, one daughter and his wife in Trilokpuri block number 26. He is a sevak in Gurudwara. His family is trying to survive on 4600 rupees which he gets per month from Gurudwara. Government has given 5lakh rupees to them as compensation. “We don’t want money. Give job or help us in establishing our business,” Said Harmeet, daughter of Nazir Singh who is in search of job to support her family financially. “We feel ashamed of ourselves when our daughter goes out in search of job just for us,” said Mr. and Mrs. Nazir Singh. “It had been 30 years. Media and politicians visits us a guest artist. They make fake promises and go back. Our grandfather served as a Government servant and now we are being treated as a servant in our own country,” said Harmeet. Government has asked them to settle at Tilak Nagar, but they denied. They don’t want to leave their ancestral home. It’s true government had initiated to help the 1984 riots’ victim. But many of them have left the city. They have lost their faith in the administration.” We saw the police standing idle, when they were burning tyres around my son’s neck. I have heard with my ears police commanding do fast whatever you all want to do instead of stopping those demons,” Said 40 year old man who don’t want to be quoted. ”My grandfather who was one of the martyr of 1984 riot always followed Indira Gandhi’s speech on his transistor after the attack on Golden Temple. We are running door to door for justice. Culprits are roaming free. No one cares for justice. All they care for votes. We are mango people what can we do,” said Guru Head of East Vinodpuri Gurudwara who came back to Delhi with his family to stay here in 2008. They can’t bring their loved ones back. Damage once done is done. But many others like Nazir are still struggling to live a dignified life. In past several riots had taken place but on the name of justice what is served is visible. If in past culprits would have been punished then frequencies of riots would have detoriated. But unfortunately 1984, 2002 and recent Muzzafarnafgar riots are blot on our country’s history. And people are begging for justice. Red tapism has increased. And people have accepted riots as their fate. When anniversaries take place or some prominent people makes statement related to these issues then things are discussed. Cries, pleadings and ground realities are heard, which by the time get lost in darkness. Government and courts assure them for justice but how long they have to wait?. “All as an individual I think justice delayed is justice denied,” said Raghuvinder Singh 30 year old bank manager. The truth often lies buried in small details and it is often hard to find. The investigation is worth recounting, worth retelling. This is what we found. `Holy` Cow Needs Protection -Lord Krishna or Modern Neta`s?